Get it: 30th Apr. - 1st May. This hand crafted Westbury Violin offers everything necessary to start learning the violin to a great standard. With a handcrafted maple and spruce body combined with ebony components this violin is a great instrument for beginners and intermediate players. Please note, this is a B-Stock item. B-stock items are either ex repair or have previously been returned by another customer. The original boxing and manual may be missing, and there may be some slight signs of usage. Otherwise, the unit operates as new. This is a great opportunity to buy a fully functioning product at a discounted price, supplied with a two year warranty. Software bundled with the original new product may have been registered or may no longer be included. 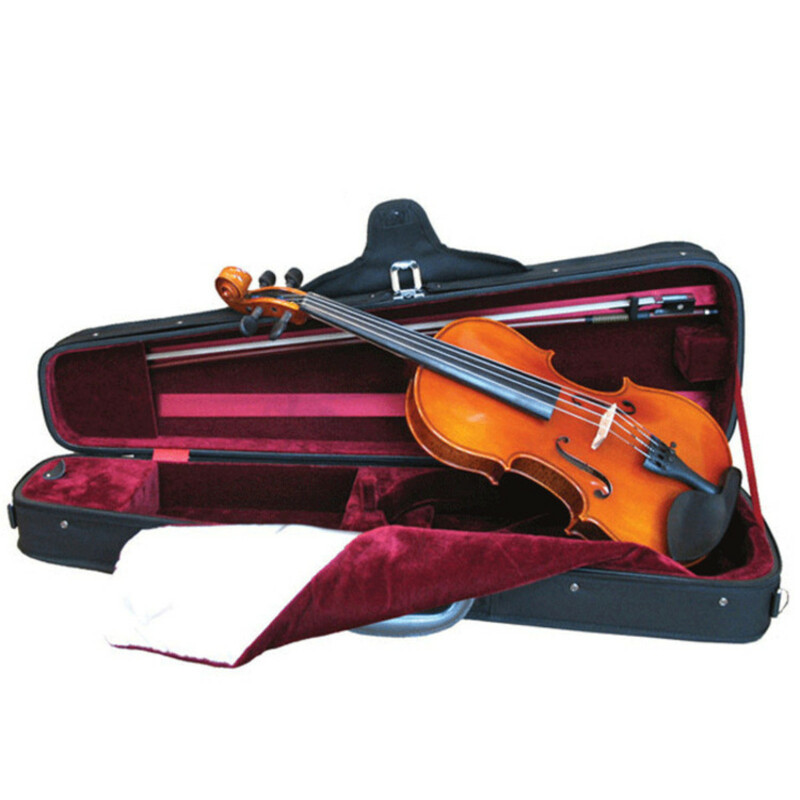 This Westbury VF033 Violin boasts a Maple and Spruce body which gives a great resonant sound and a superb response, which is perfect for student and intermediate violins. These great quality woods have then been handcrafted and manufactured to give every violin special character and optimum tone. From there, the instrument is varnished to a top quality to make it look great and last a long time. A huge feature for the Westbury VF033 Violins is the use of ebony on the fingerboard, chinrest, topnut and pegs. Ebony is a soft wood with a higher density, making it great for wood which will come in to contact with moisture on a regular basis due to its impermeable nature. The extensive use of ebony is often found on more expensive instruments. Included in this Westbury Violin Outfit are all the extra accessories that you need to get going as soon as you get the violin. 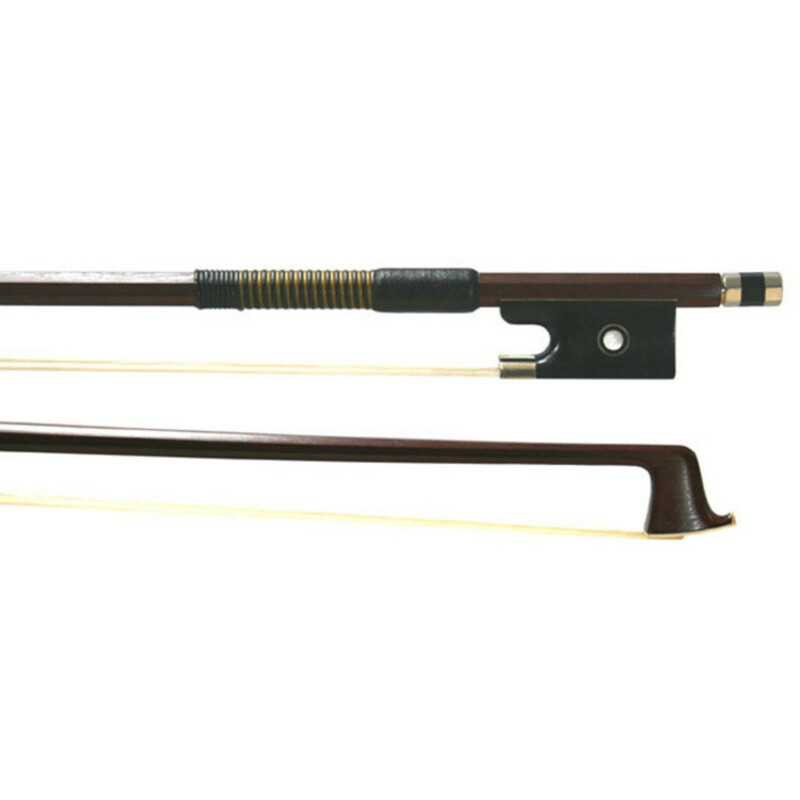 Included in the pack is an octagonal bulletwood bow, which gives an ideal weight distribution right across the bow. this in turn gives better overall control. Also included is the French style Despiau Bridge which is fitted perfectly for each instrument. All this comes in a hard dart-shaped moulded case, which provides great protection when moving the instrument to lessons, rehearsals and concerts alike. For more information on this violin outfit, please see the PDF below. If you are unsure of which size is going to be most appropriate for you, check the PDF guide below.